Order in the next 32 minutes and it will ship today! We used these in our 4th of July boat parade. We have a pirate boat and blow confetti cannons at the people on shore! People love it, it looks beautiful from the boat and on shore! Boat clean up the next day was pretty easy: sweep up dry pieces and hose away any leftovers! 3rd year ordering 40 these! Loved it awesome display! Loved it awesome display! Celebrated my grandson' s HS graduation. The product worked amazing! 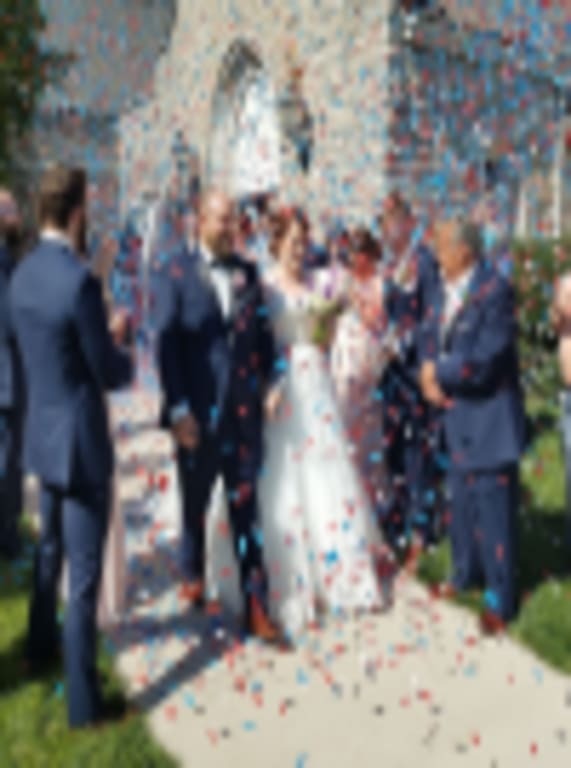 Very easy to use, great height of confetti, and can easily be swept up. Delivery was prompt and in good condition. WOW FACTOR FOR SURE!! WOW FACTOR FOR SURE!! Used them at the end of a fashion show and it was sooo awesome! I now need some for a winter event that would be like snow! these are the bomb!!! these are the bomb!!! saw these perform at a wedding. decided to get some for my grandsons birthday and were the hit of the party!!! These were awesome for a Chicago Cubs Celebration - tons of confetti. Better than I expected! Delivery was fast! 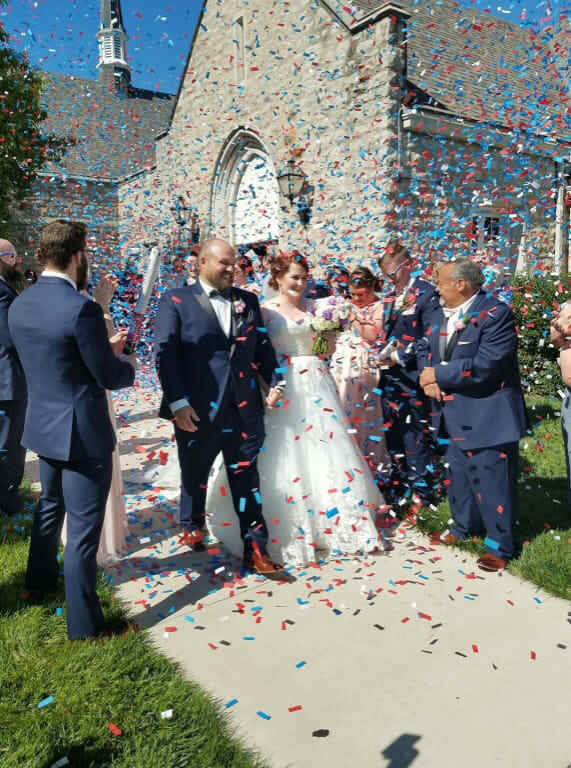 We used five cannons for our wedding as we exited the church. They were so much fun. They went off perfectly and everyone loved them. No cons- I would use them again in a heartbeat! I ordered the cannons the week before my wedding on a Wednesday and had them by Friday. So quick and perfect condition. Used four cannons at the highlight of a patriotic elementary school program. They worked great, were easy to use and the students had all the confetti picked up in minutes (which made the custodian happy). Packed well and shipping was prompt. 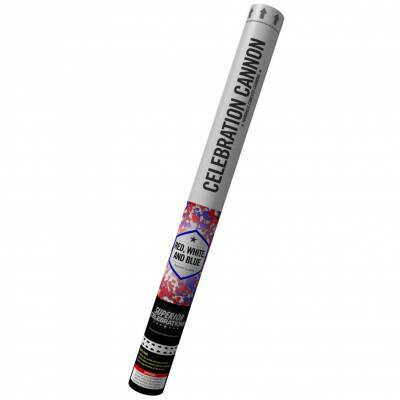 Easy to use, fast delivery, and anything you can think that needs a unique "bang", these are the cannons to buy! Perfect for Production! Perfect for Production! I use in our weekly water ski shows in Sarasota. Product is tissue paper, so it doesn't harm the warm/wild life and it gives the boat crews something a little different to open our water ski shows. Easy to use for anyone, twist, and confetti pops out. Awesome Effect, Eco Friendly! Awesome Effect, Eco Friendly! Products arrived fast and well packaged.